Argentina bears watching as it is a leftist government run by Peronist party President Cristina Kirchner. It’s been nearly a year since Mauricio Macri became President of Argentina, having led a coalition known as Cambiemos (Let’s change). This is a country with promise that has long been plagued by a weak economy, a history of default, isolation from international credit markets and contentious, backward-looking populist politics. Argentina has been governed so badly for so long that “change” proved irresistible–and now Macri, whom I had a chance to interview on Oct. 12, has to deliver it. A successful businessman before becoming mayor of Buenos Aires, Macri has already taken big steps to mend distortions in Argentina’s economy. He has lifted onerous capital controls and allowed the central bank to move against inflation. 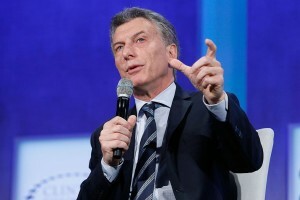 Vitally, he resolved a 15-year dispute with international bondholders, which left Argentina unable to borrow in global markets. He has also brought clarity to Argentina’s numbers. Under Cristina Fernández de Kirchner, Macri’s predecessor, the state’s official statistics bureau claimed that just 5% of Argentines lived below the poverty line. Under Macri, it now says the true figure is more than 30%. The honesty is welcome–and necessary. Macri believes Argentina has much to offer. “The world needs food security and sustainable energy supplies,” he says. “We already produce food for 400 million people, and we expect to double that production in the next five years. In energy production, our potential is enormous: we have the world’s second largest shale-gas and fourth largest shale-oil reserves, the third largest wind reserves. We have great solar potential.” Macri is facing pushback. The economy has so far failed to recover at the pace he promised. Growth is weak, unemployment remains high, and his approval ratings have fallen from their initial high level. Union leaders with close ties to the opposition have called for large-scale strikes in hopes of reopening wage negotiations this year, but the government fears that higher wages now would simply push inflation up. The country’s largest public-sector unions staged a general strike over government cuts last month, and more walk-offs are likely. Macri hopes that bitter medicine now will trigger a recovery in time for next year’s midterm elections, but he knows Argentina needs more than a return to mild economic growth. 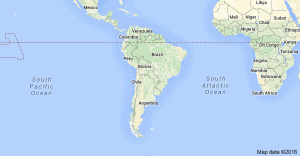 To sustain a full recovery, it will need solid commercial relations that extend beyond Latin America. “China will be a key player for Argentina in the next decade, as will Japan, Korea and other Asian countries, in addition to Europe and the United States,” he says. Macri also hopes to modernize the country with a focus on new technology. Unlike his predecessors, Macri knows that the digital revolution is a fact of 21st century life–for better or for worse. Better to understand its effects than to hide from the future.